‘Tis the season for gifts and really, who deserves more presents than your hardest working assistant? Clearly I’m talking about your iPhone! There are a number of awesome accessories that you can purchase (or put on your holiday wishlist!) 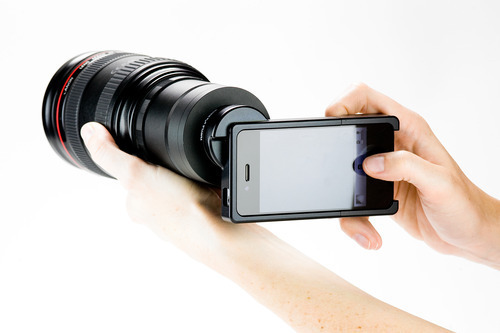 that will enhance your already superb iPhone photography. Here are just a couple to get your started! Sure, your can take photos with your regular ol’ iPhone lens, but what if you want to get fancy with your photos? External lenses exist at a huge range of prices and can really add a huge amount of fun to your pictures. 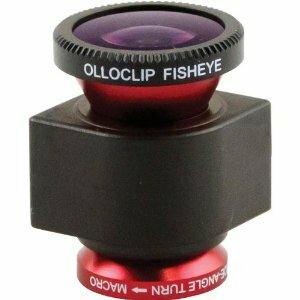 The Ollo Clip offers both a fish eye lens and a macro lens in a handy little accessory that won’t take up much space in your purse or pocket. 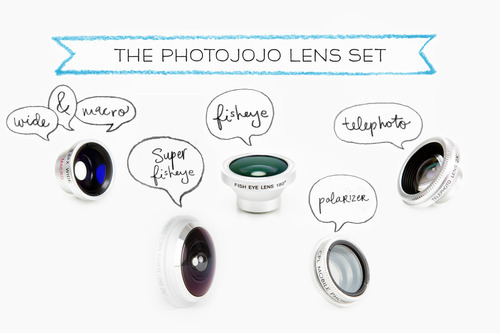 PhotoJojo.com offers a whole lens kit that you can customize to fit your particular needs. Whether you want to master the art of the selfie, the family portrait, or the just take some super fun videos of yourself, you’ll find that a small tripod can make a world of difference. 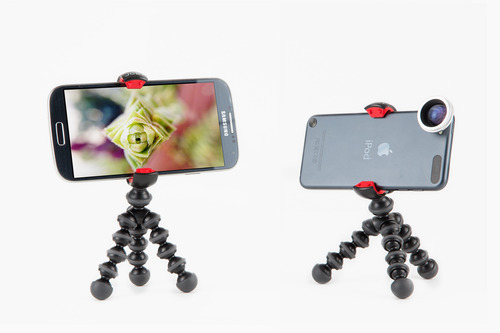 The gorillapod has bendy legs that can wrap around railings or tree branches or can be set straight to stand the tripod up on a flat surface. 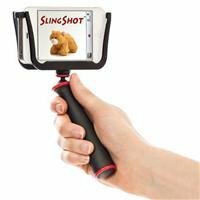 The Slingshot allows you to stabilize your phone when you hold it at arms length. Hello crisp selfies! I know, I know, the iPhone camera is more than capable enough to take amazing photos, but sometimes, once in a while, we wish it had a tiny bit more functionality than it does. Like, say, a “real” camera offers. Thanks to these two neat tools, your iPhone can in fact be a “real” camera. The iPhone SLR mount is a case that allows you to attach your existing SLR lenses (Nikon or Canon) to your iPhone. It even has a strap attachment so you can hang it around your neck for that “real” camera feel! Don’t have any lenses you can use? Sony has the answer for you! 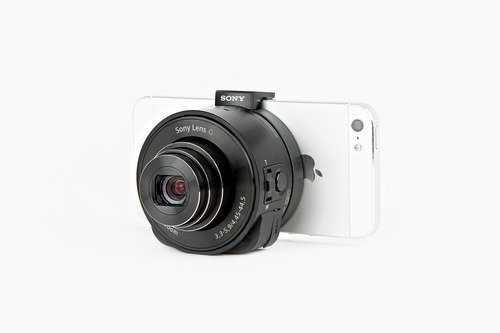 The Sony QX10 and QX100 Smart Lens is a neat little device is actually a camera in and of itself. Clip it to your iPhone to take great shots or simply hold it near your camera! Lots of ways to change it up and guarantee that 2014 will deliver incredible picture memories you’ll be stoked to immortalize in a photo book or ten!